Anthem for unaccompanied SATB choir. Text from The English Psalter: Ps.32 v.26 & Ps.16 v.3. This Anthem was first performed on BBC Radio 4 on lst November 1984 in the 'Daily Service' by the Birmingham Conservatoire Chamber Choir under the direction of John Bishop. This Choir gave a second performance of the anthem on November 4th 1984 as part of the Evensong service in Birmingham Cathedral. In May 1989 the work was performed by the Clent Hills Singers, directed by the composer, in St John's Church, Hagley, Worcestershire. Many subsequent performances took place at the Chapel of Royal Holloway, University of London, by the Chapel Choir under the direction of Professor Lionel Pike, between 1985 and Professor Pike's retirement in 2005. Recorded for CD entitled The Lord is my Shepherd (CDVP014CD) by the Chapel Choir of Royal Holloway, directed by Lionel Pike, on 6th & 7th January 2001 in Arundel Cathedral. To purchase CD, click on the link above. All the tracks from this CD have been broadcast many times on Musicians Page Radio, Los Angeles, USA. 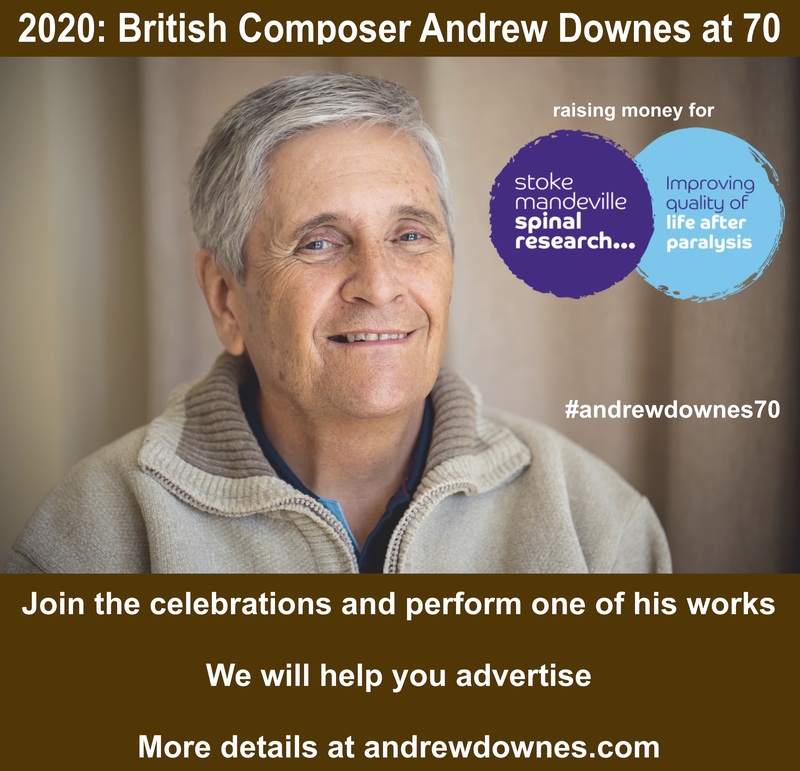 Performed on June 21st 2005 in the Adrian Boult Hall, Birmingham, by the Chamber Choir of Birmingham Conservatoire, conducted by Andrew King, in a concert of Music by Andrew Downes marking the composer's retirement from Birmingham Conservatoire. The first American performance took place at King's Chapel, Boston, Massachusetts on August 22nd 2006 by the Millennium Scholars, directed by Paula Downes. Andrew and Cynthia Downes sang in this performance. Listen to concert. The choir of the Church of the Advent, Boston, directed by Edith Ho, performed the work in November 2006. THE SOULS OF THE RIGHTEOUS Opus 31 No.2 (1984) 2'30"
This work was first performed on BBC Radio 4 on 2nd November 1984 in the 'Daily Service' by the Birmingham Conservatoire Chamber Choir conducted by John Bishop. Performed by the Choir of Trinity College, Cambridge, under the direction of Richard Marlow, in their Evensong Service on 20th May 1999. 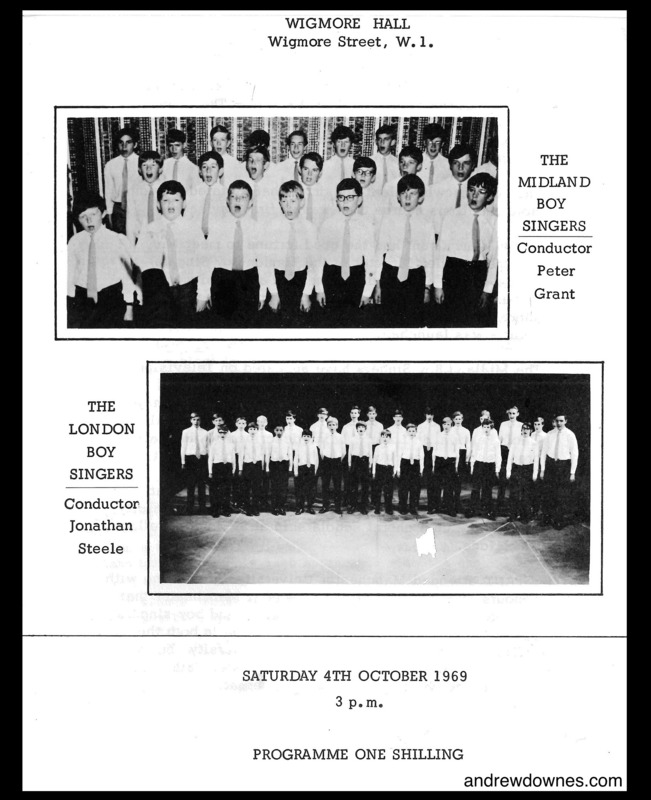 Several performances have been given by the Kingfisher Chorale, directed by David Fisher: in the Frazer Noble Hall, Leicester, in October 2003 and November 2009; in St Thomas Church, South Wigston, as part of the Blaby Festival (June 2005); and in St John's Church, Clarendon in March 2004. Birmingham Cathedral Choir, directed by Marcus Huxley, performed the work in November 2009 and July 2010. In February 2011, it was performed at Queens Chapel of the Savoy, Savoy Hill, London, by the choir Convivium conducted by Neil Ferris. The first American performance took place at King's Chapel, Boston, Massachusetts in August 2006 by the Millennium Scholars, directed by Paula Downes. Andrew and Cynthia Downes sang in this performance. Listen to concert. The Harvard Choral Fellows, directed by Edward Jones, performed the work at the Memorial Church, Harvard University, USA, in November 2007. Recorded in 1997 by the Academic Scholars for their CD entitled "Hereditary Voices" (PHAROS Records PHACDlO1). In Peace was first performed on BBC Radio 4 on 3rd November 1984 in the 'Evening Service' by the Birmingham Conservatoire Chamber Choir conducted by John Bishop. Performed by the New London Singers, directed by Ivor Setterfield, in their concert entitled "War and Peace" in St Augustine’s Church, Queensgate, London, in June 2003. Broadcast twice on BBC Radio 3 in October 2012 by the Choir of Winchester College, directed by Malcolm Archer. Set to music for unaccompanied SATB choir (with divisions). These Responses were commissioned by the Birmingham Conservatoire Chamber Choir for BBC Radio 3 Choral Evensong and subsequently sung at numerous Evensong services in Coventry and Gloucester Cathedrals by the Coventry Cathedral Chapter House Choir under the direction of Geoffrey Holroyde. Transcription of Kyrie, Sanctus, Benedictus and Agnus Dei for SSA soloists and SSAATB choir, with optional organ part, completed by Cynthia Downes in 2006. These movements transcribed for high voices by Paula Downes in 2017. The Motet, O Magnum Mysterium - text from the 'Tenebrae Responses', was composed in 1969 before Andrew Downes went up to Cambridge University as a Choral Scholar at St John’s College, and was performed by Andrew Downes with two other soloists from the Midland Boy Singers in the Wigmore Hall, London, on 4th October 1969. The Mass was completed in 1973, when Andrew Downes was studying at the Royal College of Music with Herbert Howells. O Magnum Mysterium Motet and Mass was premiered by the Birmingham School of Music Chamber Choir, conducted by the composer, in Birmingham Cathedral on 19th February 1977. In May 1977 these musicians gave further performances of the whole work in Lapley Church, Staffordshire and Upton-upon-Severn Parish Church, Worcestershire, and then recorded the work for BBC Radio Birmingham at the Knights Templars Church, Temple Balsall, Warwickshire (broadcast on 29th June 1977). The first American performance of the Motet & Mass (all movements except the Gloria) was given in King's Chapel, Boston, Massachusetts, on August 22nd 2006, by the Millennium Scholars, directed by Paula Downes. Andrew and Cynthia Downes sang in this performance, which was the SSAATB version. Listen to the concert by clicking on the link above. The transcription of the Motet for SSA, by Cynthia Downes, was dedicated in 2001 to Heather Fairs, former music teacher of Andrew Downes’ two daughters, Anna and Paula, and performed (by Paula Downes, Cynthia Downes and Katy Pickford) at Heather Fairs' retirement dinner at the Chateau Impney, Droitwich, Worcestershire. This version was performed by members of the Cantabrigians in the Chapel of the Grange Wellington Hotel, Westminster, as part of The Brandenburg Choral Festival of London, in September 2017 (Paula Downes, Carlotte Ives and Lucy Taylor) and in January 2018 (Paula Downes, Catherine White, Caroline Hunter). In 2017 Paula Downes transcribed all movements of the Mass except the Gloria for high voices. This version was performed in the Chapel of Selwyn College, Cambridge, in November 2017 by the Cantabrigians, as part of their concert for Remembrance Day. In 2018 Paula Downes transcribed the Motet only for SAB for the Meridian Singers for their Christmas Concert. View Score (This link will open a new browser). The Lord is my Shepherd, was first performed in St George's Chapel, Windsor, by the Runnymede Church Choirs Association, directed by Lionel Pike, on 21st October 2000. It has subsequently been sung by the Chapel Choir of Royal Holloway, University of London, conducted by Lionel Pike, in Mosta Church, Malta (July 2001) and in the Chapel of Royal Holloway (May 2004); by the Kingfisher Chorale, directed by David Fisher, in the Frazer Noble Hall, Leicester (October 2003 and November 2009), in St John's Church, Clarendon Park, Leicester (March 2004), in Braunston Parish Church, Northants (May 2014) and at the Blaby Festival (June 2005); by ex-Cambridge Choral Scholars, directed by Stefan Reid, in the Chapel of Trinity College, Cambridge, at the wedding of Paula Downes and David Trippett (July 2005); by the Lyra Davidica Choir in Lichfield Cathedral (July 2005); by the composer and his family in the Chapel of Christ’s College, Cambridge, at the Christening of his granddaughter, Penny, in September 2011; twice by Old Swinford Hospital School Choir, directed by Anna Downes, in the Foleyan Hall of the school, in November 2015; and in Canterbury Cathedral by Lyra Davidica, conducted by Christine Edmundson, in August 2017. The first performance of The Lord is my Shepherd in the USA was given in King's Chapel, Boston, Massachusetts on August 22nd 2006 by the Millennium Scholars directed by Paula Downes. Andrew and Cynthia Downes sang in this performance. Listen to concert. In March 2007 and March 2009 it was performed in Appleton Chapel of Harvard University, Cambridge, Massachusetts, by the Chapel Choir, conducted by Edward Jones. In May 2009 it was performed at Old North Church, Marblehead, Massachusetts, USA, by the Senior Choir of the Church, directed by Maria Vankalken. An arrangement by Cynthia Downes of The Lord is my Shepherd for solo voice and strings has been performed on numerous occasions by Paula Downes with the Lynwood Lea String Quartet and other ensembles. The Preces & Responses and Psalm 121 were sung by the Runnymede Church Choirs Association in Guildford Cathedral in November 2002. Royal Holloway Chapel Choir have performed the Responses and Canticles in Exeter Cathedral (January 2003) and in Royal Holloway Chapel, and the Responses in Chichester Cathedral (January 2001, November 2003 and February 2005), Canterbury Cathedral (February 2003), Lincoln Cathedral (May 2005), and many times in Royal Holloway Chapel. The first performance of The Lord's Prayer from The Responses in the USA was given in King's Chapel, Boston, Massachusetts on August 22nd 2006 by the Millennium Scholars directed by Paula Downes. Listen to concert. The Lord's Prayer was given its German premiere in Cologne Cathedral by the Old Swinford Hospital School Chamber Choir, directed by George Nicholls, on July 4th 2017. This choir gave a second performance in the Apostelnkirche, Cologne, on the same day. An arrangement by Cynthia Downes of The Lord’s Prayer from these Preces and Responses for solo voice and strings has been performed on numerous occasions by Paula Downes with the Lynwood Lea String Quartet and other ensembles. Latin Motet for high voices (SSSA). Text from the Lamentations of Jeremiah 1:12. (Translation: All ye who pass by the way, behold and see if there be any sorrow like unto my sorrow. Attend, all ye people, and behold my sorrow.) Ideal for performance in Holy Week. This work is now published by Faber Music in their anthology: 30 Sacred Masterworks for Upper Voice Choir. Commissioned by Cantamus girl's choir (director Pamela Cook) and first performed by them in the English Reformed Church, Amsterdam, on Easter Saturday, 10th April 1982. The choir then performed the work in Germany, in the Immanuel-Kant-Gymnasium, Heiligenhaus, in April 1982. Cantamus gave the UK premiere of O Vos Omnes on May 22nd 1982 in Welbeck Abbey, Derbyshire. On July 11th 1982, in the Pfarre St Michael, Cantamus won first prize in the Vienna Youth & Music Festival and the City of Vienna Prize, including O Vos Omnes in their programme. The work was commercially recorded for LP record by Cantamus in September 1982 in the Great Hall of Nottingham University, and is still regularly included in the choir's programmes home and abroad. Pamela Cook directed the Birmingham School of Music Singers Singers in a performance of the work in the Adrian Boult Hall, Birmingham, in May 1988. Haybridge High School Choir, conducted by Heather Fairs, performed the work in St Saviour's Church, Hagley, in March 1995. The Halesowen Girls' Choir, directed by Margaret Pickford, who have also performed the work on many occasions, included it as part of their recital in the Sainsbury's Choir of the Year Competition at the Royal Northern College of Music in April 1996, winning the title of 'Sainsbury's Youth Choir of the Day' and a place in the quarter finals. The Millennium Scholars, directed by Paula Downes, gave the first USA performance at Adams House, Harvard University, Cambridge Massachusetts, on April 21, 2006, and a further performance in King's Chapel, Boston, Massachusetts in August 2006. Listen to concert. In March 2013, Paula Downes recorded all the voice parts of this work and she created an animation to go with this recording in 2016 (Click on links above). The recording took place in the Studio of Birmingham Conservatoire. Matthew O'Malley was the recording engineer. In April, June and November 2017, the Cantabrigians performed O Vos Omnes as part of their recitals in the Chapels of Churchill College, Jesus College and Selwyn College, Cambridge. 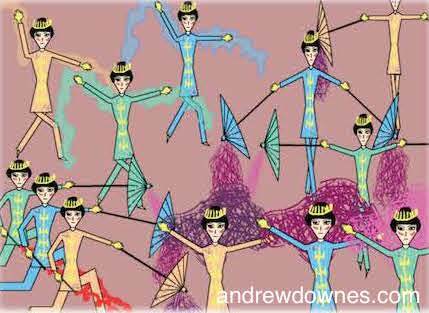 Traditional Chinese poem (in English translation) set to music for unaccompanied high voices. Commissioned by Pamela Cook and her 'Cantamus' Girls' Choir, with funds from Nottingham County Council, for the Sainsbury's Choir of the Year Competition. It is a virtuosic piece, which divides into 8 parts and contains multi-tempo techniques. In March 2013, Paula Downes recorded all the voice parts of this work and she created an animation to go with this recording in 2017 (click on links above). The recording took place in the Studio of Birmingham Conservatoire. Matthew O'Malley was the recording engineer. In February 2017 the work was given its first concert performance in the Chapel of Christ's College, Cambridge, by The Cantabrigians, directed by Paula Downes. The Cantabrigians gave a second performance in the Chapel of Churchill College, Cambridge, in April 2017. For unaccompanied vocal soloist and 3 part SSA choir. 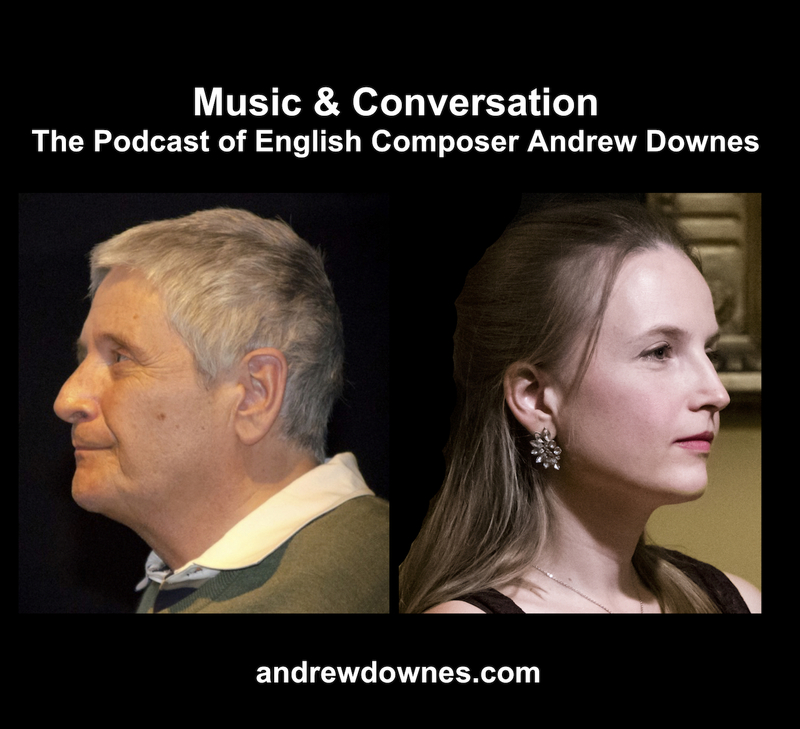 Words and music by Andrew Downes. Recorded by Halesowen Girls' Choir in July 1994 and included as part of their repertoire. Notable performances by the choir have been at a special 'Downes Towards the Millennium' concert in September 1999 in St John's Church, Hagley, Worcestershire, and at a Millennium Concert, entitled 'Music from around the World', in October 2000, in Hagley Free Church, Worcestershire. 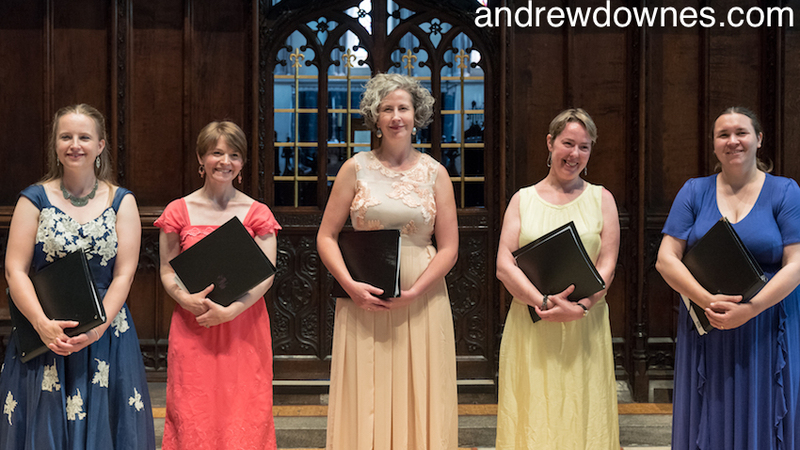 The USA premiere of this work was given 24th June 2007 at First Parish Church, Cambridge, Massachusetts, by Schizophonic: Paula Downes, soprano, Anney Gilotte, soprano, and Allegra Martin, mezzo-soprano. In March 2013, Paula Downes recorded all the voice parts of this work and created a music video in 2016 (Click on links above). The recording took place in the Studio of Birmingham Conservatoire. Matthew O'Malley was the recording engineer. In February 2017 the work was performed in the Chapel of Christ's College, Cambridge, by The Cantabrigians, directed by Paula Downes. The Cantabrigians gave further performances in the Chapel of Churchill College, Cambridge, in April 2017, in the Chapel of Jesus College, Cambridge, in June 2017 and in The Chapel of the Grange Wellington Hotel, Westminster, as part of The Brandenburg Choral Festival of London, in September 2017. Song for unaccompanied AATTBB male voice group. (Versions for SSAB with Baritone solo, and for Soprano Solo with String Quartet, both by Paula Downes also available). This song was composed for Counterpoint Vocal Consort, which was formed by ex-choral scholars from St John's College, Cambridge: Andrew Downes himself and Philip Griffiths (countertenors), John Tudhope and John Walker (tenors), Anthony Edwards and Christopher Dean (basses). The song was first performed in Counterpoint's concert at Cranbourne Chase School on May 5th 1973. The group gave subsequent performances of the song in numerous UK venues between 1973 and 1975, including St Margaret's Church, Parliament Square, Westminster (June 1973), Cliveden House, Wooburn Festival (September 1973), King's School, Rochester (October 1973), Carmarthen Arts Club (November 1973), Llandovery College (November 1973), Swansea University (April 1974), Malmsbury Abbey (June 1974), Walsall Town Hall (June 1974), in the Cleobury Mortimer Festival, Shropshire (September 1974), Birmingham Art Gallery (December 1974), Sherborne Girls' School, Dorset (January 1975), on BBC Radio Birmingham (February 1974) and BBC Radio 2 (January 1975), and at the Composers' wedding to Cynthia Rosemary Cooper on August 9th 1975 (in this performance Andrew Downes' part was sung by Sheila McQuattie). 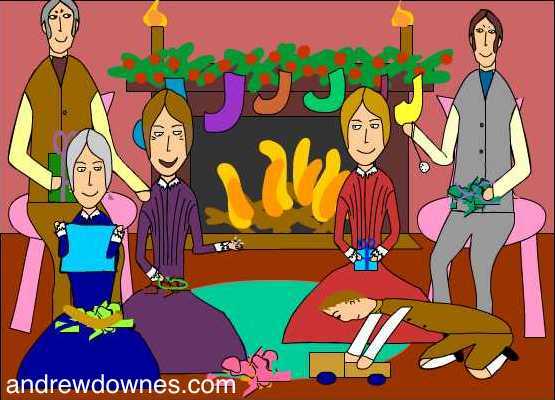 Andrew Downes used an instrumental version of this song for his Lullaby from his Christmas Cantata, which was premiered in the December 1974. Paula Downes sang her version for Soprano Solo with String Quartet with The Silver Swans at the Grand Arcade in Cambridge to raise awareness for Extinction Rebellion in 2018. She created a new version of this with traditional Native American Poetry, entitled 'Wind Song', to be performed in some Climate Change concerts in 2019. Setting of Psalm 121 for SATB choir and organ. This Anthem was commissioned by Peter Summers and the Choir of the Collegiate Church of the Holy Trinity, Stratford-upon-Avon, for Shakespeare Sunday. The first performance took place on April 27th 1986 at Holy Trinity Church, with Peter Summers, organ, and directed by Andrew Downes. Subsequently performed by the Clent Hills Singers (Worcestershire), conducted by the composer, in St John's Church, Hagley, in May 1991; by the Chapel Choir of Royal Holloway, University of London, directed by Lionel Pike, in the Chapel of Royal Holloway (January 1995); and by the Joint Chamber Choirs of South Hampstead High School and University College School, conducted by Paula Downes, at the Hampstead and Highgate Festival in May 2005. Recorded for CD entitled The Lord is my Shepherd (CPVP014CD) by the Chapel Choir of Royal Holloway, University of London, with Brian Moles, organ, directed by Lionel Pike, on 6th and 7th January 2001 in Arundel Cathedral. All the tracks from this CD have been broadcast many times on Musicians Page Radio, Los Angeles, USA. To purchase CD, click on the link above. Setting of Psalm 150 for SATB choir and organ. Commissioned by the Provost of St Philip's Cathedral, Birmingham, the Very Reverend Peter Berry, with financial assistance from the Bank of Ireland, whose Birmingham Branch was situated in St Philip's House, for performance by the Choir of Birmingham Cathedral, directed by Marcus Huxley, to celebrate the restoration of the Cathedral 1993. This first performance took place in a special service, attended by the Bishop of Durham, on 17th September 1993. The Birmingham Festival Choral Society, under the direction of Anthony Bradbury, performed the work in Malvern Priory in a concert entitled ‘A British Celebration’ on 25th June 2005. Setting of Psalm 96 for SSAATTBB choir and organ. Specially composed for Lionel Pike and the Chapel Choir of Royal Holloway, University of London, for their millennium celebrations. 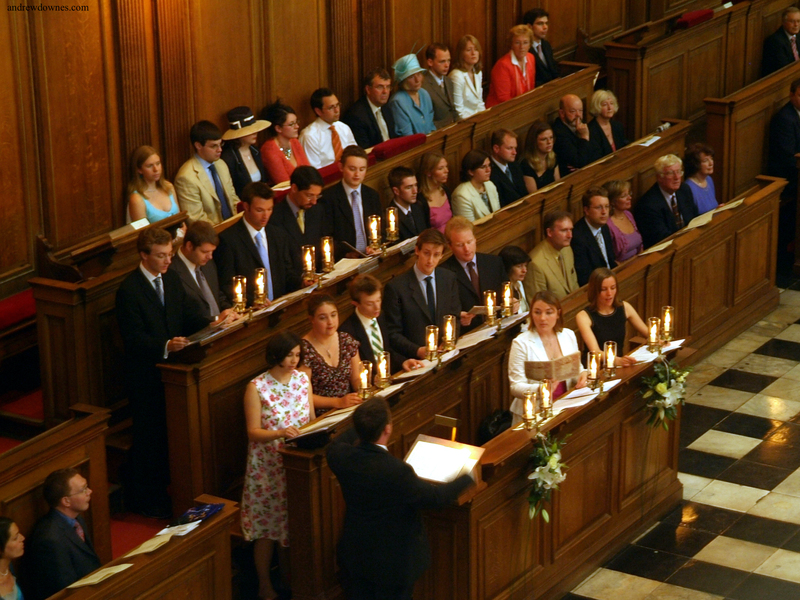 First performed at the Royal Holloway Thanksgiving Service at the end of the Academic Year on Sunday 11th June 2000, in the Church of the Assumption, Englefield Green. Recorded for CD entitled The Lord is my Shepherd (CPVP014CD) by Royal Holloway Chapel Choir, with Brian Moles, organ, directed by Lionel Pike, on 6th and 7th January 2001 in Arundel Cathedral. All the tracks from this CD have been broadcast many times on Musicians Page Radio, Los Angeles, USA. To purchase CD, click on the link above. Small Choir versions (SATB) arranged by Rosemary Cooper also available. SAB versions arranged by Paula Downes also available. The Runnymede Service was commissioned by the Runnymede Church Choirs Association with substantial help from St Mary's Trust, Thorpe, for the Association's 50th anniversary in 2000. The full service was first performed at Evensong for the Festival of St Cecilia in the Chapel of Royal Holloway, University of London, by the Chapel Choir, conducted by Lionel Pike, on 29th November 2000. The Introit, The Lord is my Shepherd, was first performed in St George's Chapel, Windsor, by the Runnymede Church Choirs Association, directed by Lionel Pike, on 21st October 2000. It has subsequently been sung by the Chapel Choir of Royal Holloway, University of London, conducted by Lionel Pike, in Mosta Church, Malta (July 2001) and in the Chapel of Royal Holloway (May 2004); by the Kingfisher Chorale, directed by David Fisher, in the Frazer Noble Hall, Leicester (October 2003 and November 2009), in St John's Church, Clarendon Park, Leicester (March 2004), in Braunston Parish Church, Northants (May 2014) and at the Blaby Festival (June 2005); by ex-Cambridge Choral Scholars, directed by Stefan Reid, in the Chapel of Trinity College, Cambridge, at the wedding of Paula Downes and David Trippett (July 2005); by the Lyra Davidica Choir in Lichfield Cathedral (July 2005); by the composer and his family in the Chapel of Christ’s College, Cambridge, at the Christening of his granddaughter, Penny, in September 2011; twice by Old Swinford Hospital School Choir, directed by Anna Downes, in the Foleyan Hall of the school, in November 2015; and in Canterbury Cathedral by Lyra Davidica, conducted by Christine Edmundson, in August 2015. The Preces & Responses and Psalm 121 were sung by the Runnymede Church Choirs Association in Guildford Cathedral in November 2002. Royal Holloway Chapel Choir have performed the Responses and Canticles in Exeter Cathedral (January 2003) and in Royal Holloway Chapel, and the Responses in Chichester Cathedral (January 2001, November 2003 and February 2005), Canterbury Cathedral (February 2003), Lincoln Cathedral (May 2005), and many times in Royal Holloway Chapel. The Canticles have been performed in Bristol Cathedral by The New Birmingham Scholars, directed by Christopher Allsop (September 2002); in Exeter Cathedral (January 2003), St Jude's Church, Egham (January 2003) and in the Chapel of Royal Holloway (November 2004) by the Chapel Choir of Royal Holloway, directed by Lionel Pike; in the Chapel of Selwyn College, Cambridge, by the Chapel Choir of Selwyn College, directed by Sarah MacDonald (November 2009, November 2010, February 2013, February 2014, October 2014, April 2016 and May 2017) and directed by Christopher Robinson in Selwyn College Chapel (November 2011); and in Lincoln Cathedral by Selwyn College Chapel Choir, directed by Sarah MacDonald (October 2010). The anthem I Was Glad was subsequently sung in Trinity College Chapel, Cambridge, by ex-Cambridge Choral Scholars, directed by Stefan Reid, at the wedding of Paula Downes and David Trippett in July 2005. The first American performance of this work was given by the choir of Harvard University Memorial Church, directed by Edward E Jones, on 16th March 2008 and a further performance on 5th October 2008. Both of these performances were broadcast live on WHRB radio, Cambridge, MA. In the USA, The Lord is my Shepherd and The Lord’s Prayer (from the Responses) were performed at King's Chapel, Boston, Massachusetts, on August 22nd 2006, by the Millennium Scholars, directed by Paula Downes. Andrew and Cynthia Downes sang in this performance. Listen to concert. The Lord is my Shepherd was performed by the Harvard University Chapel Choir, directed by Edward Jones, at the Memorial Church, Harvard University, in 2007 and in 2009, and by the Senior Choir at the Old North Church, Marblehead, Massachusetts, directed by Maria van Kalken, in 2009. Both of the Harvard performances were broadcast live on WHRB radio. An arrangement by Cynthia Downes of The Lord is my Shepherd and The Lord’s Prayer for solo voice and strings has been performed on numerous occasions by Paula Downes with the Lynwood Lea String Quartet and other ensembles. Anthem for SATB choir, 2 trumpets (optional) and organ. Setting of poem by Moira Weir. Specially commissioned by Princethorpe College for a special Mass to celebrate the centenary of the College Chapel, designed by Paul Pugin. First performance took place in the Centenary Mass on 8th May 2001, sung by the Chapel Choir, with trumpeters and organist from the college, directed by Sue Francis. Setting of the Jubilate for soprano solo, SATB choir and organ. Commissioned by Graham Williams and the Callington Singers of Cornwall, to celebrate the 30th anniversary of the foundation of the choir. First performance took place at Menheniot Parish Church on 26th October 2013, with soloist, Paula Downes, and organist, Simon Brett, conducted by Graham Williams. The Callington Singers have subsequently performed the work in Exeter Cathedral in February 2014, in Gunislake Church, Cornwall (April 2014), in Truro Cathedral (August 2014) and at St George's Chapel, Windsor (August 2018). The Callington Singers, with the Kantorei Barsbuettel from Germany, and the Chorale Chanterelle de Guipavas, France, directed by Graham Williams, gave the first French performance on December 13th 2014 in Notre Dame de Kerbonne, Brest, and a further performance in the Eglise Paroissiale, Guipavas, Brittany, on 14th December 2014. Setting of the poem by D.H.Lawrence for high voices (SSSA with divisions) with piano accompaniment. This work was commissioned by Pamela Cook and her Cantamus Girls' Choir, with funds provided by East Midlands Arts, to celebrate the birth centenary of D.H.Lawrence. 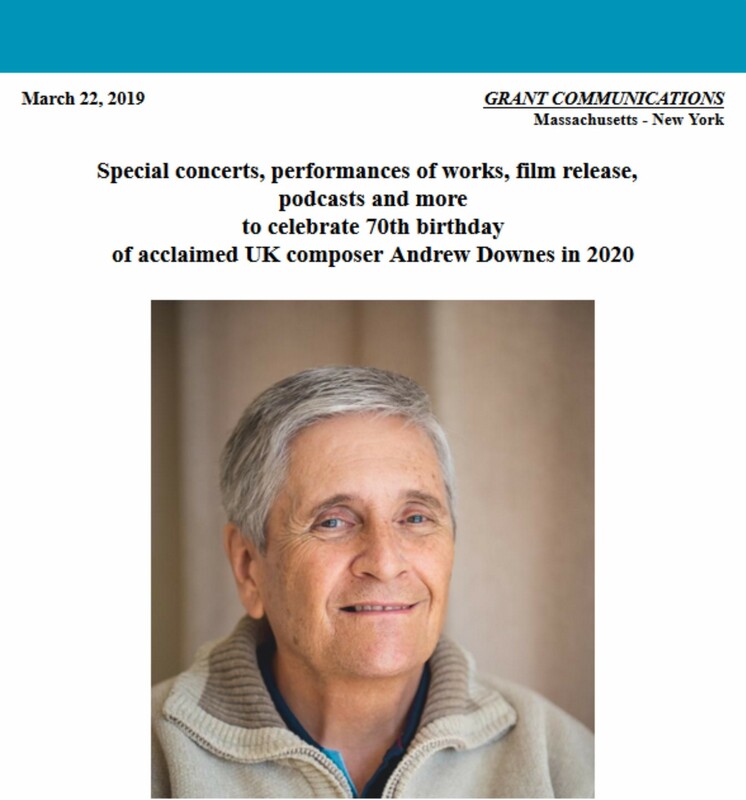 Cantamus, accompanied by pianist Michael Neaum, gave the first perfomance in their D.H.Lawrence Centenary Festival Concert, entitled "Shall We Sing Thee Summat? ", on September l4th 1985 at St John's, Smith Square, London. Cantamus subsequently recorded the work for two BBC Radio 3 programmes (which were broadcast in August 1987 and February 1988), and has regularly performed the song in their concerts throughout the UK and on tours in the USA, Japan, Germany, Finland and Australia. In 2012, for example, they gave three performances, at the Oundle International Festival and venues in Worksop and Nottingham. Pamela Cook directed the Birmingham Conservatoire Singers, with accompanist Joyce Woodhead, in a performance of the work in the Adrian Boult Hall, Birmingham, in May 1991. The Halesowen Girls' Choir, with accompanist Keith Bradley, conducted by Margaret Pickford, have also performed the song on many occasions. They were first prize winners at the Catshill Festival, Worcestershire (June 1992) and the Dudley Festival (March 1996) singing the work, and also included it in their programme for the 1994 Sainsbury's Choir of the Year Competition. Cheltenham Ladies College, directed by John Wright, included the work in their programme for the Cheltenham Competitive Festival 1995, and also in concerts at the College. Haybridge High School Choir, conducted by Heather Fairs, performed the work in St Saviour's Church, Hagley, in March 1995, and at Haybridge High School, Hagley, in May 1995. Conducted by Anna Downes, they performed the work at the Worcester Music Festival in March 2000. At each of these performances the accompanist was Maureen Lloyd Jones. South Hampstead High School for Girls Singers, and Sine Nomine Youth Choir, both choirs conducted by Paula Downes, have also performed the song. Soundcloud and created an animation/music video in 2016 (Click on links above). The recording took place in the Studio of Birmingham Conservatoire. Matthew O'Malley was the recording engineer. In February and June 2017 the work was performed in the Chapels of Christ's College and Jesus College, Cambridge, by the Cantabrigians, directed by Paula Downes. Setting of the poem by DH Lawrence for high voices (SSAA) with piano accompaniment. This work was commissioned by Ann Irons and Cantamus Girls' Choir, in memory of their late founder and conductor, Pamela Cook, with funds provided by donations. The World Premiere took place at the Pamela Cook Memorial Concert in St Mary's Church, High Pavement, Nottingham, on 5th July 2014. Pianists Philip Robinson and Michael Neaum accompanied the choir. Ann Irons directed the performance. These musicians gave their second performance of the work in their concert at the Mansfield Palace Theatre on 22nd February 2015. This concert followed the unveiling of a bronze bust of Pamela Cook, which stands in the theatre foyer alongside the bust of John Ogdon. The work was performed by the choir, accompanied by Stefan Reid, alongside 'Piano' by Andrew Downes, in St Mary's Church, Greasley (June 2016) and both works have been included in the Choir's repertoire for their tour of Australia, Sydney, Melbourne and Adelaide (end July 2016). 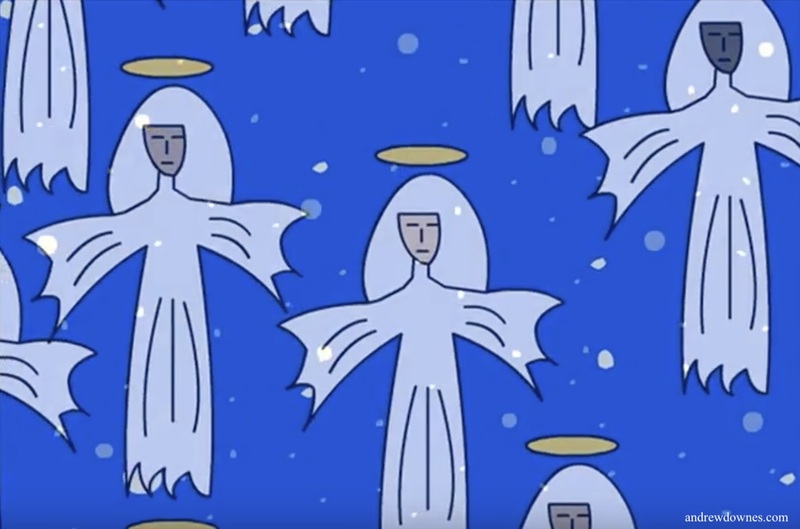 8 Christmas poems from around the world set to music for high voices and harp/piano. The poems are: The Huron Carol; Pilgrims in Mexico; The Virgin's Cradle Hymn; The Mother's Song; Shepherd's Carol; Christmas 1924; The Holly Bough; New Year Bells. Commissioned by the Midland Chamber Players and first performed on 17th December 1992 in Birmingham Cathedral by Hillcrest School Chamber Choir, directed by Valerie Pither, with Robert Johnston, harp. Subsequent performances, either of individual Ballads or the whole work, have been given by the same artists in their Birmingham Cathedral Christmas concerts: in 1993 (Huron Carol, Virgin's Cradle Hymn and Shepherd's Carol), 1995 (Virgin's Cradle Hymn) and 1996 (complete work). Performed in Christchurch Priory, in December 1993, and in St Peter's Church, Parkstone, Poole, Dorset, in 1994, by the Rilstone Singers, conducted by Martin Schellenberg, with harpists Susan Drake (1993) and Robert Johnston (1994). Haybridge High School Girls' Choir, with soloists Paula Downes and Catherine Pickford, performed Shepherd's Carol in St Saviour's Church, Hagley, in December 1995; and with soloist Paula Downes, performed The Virgin's Cradle Hymn in St Saviour's Church, Hagley, in December 1997. Many performances have been given by the Halesowen Girls’ Choir, and the Halas Chamber Choir, conducted by Margaret Pickford, with Keith Bradley and Heather Howell, piano, in Halesowen Church and other Worcestershire churches, as well as the Birmingham Buddhist Centre. The Halesowen Girls' Choir performed The Holly Bough and New Year Bells at the wedding of the composer's daughter, Anna, to Michael J Price, on December 27th 2003, in St John's Church, Hagley, Worcestershire. The Chapel Choir of Royal Holloway, University of London, directed by Lionel Pike, performed Shepherd's Carol in December 1993 and then all of the Ballads in December 1994 in the Chapel of Royal Holloway. They recorded the Shepherd's Carol from the collection on their CD entitled ‘Whom do you seek, Shepherds?’ (Royal Holloway Recording 3689 RHC DPL 07/95) in 1995. The first London performance of the Shepherd's Carol was given by choristers at South Hampstead High School for Girls, conducted by Paula Downes, in December 2002. This was followed by a performance of the whole work on December 4th 2004 in Hampstead Parish Church by the Millennium Scholars, with Tanya Houghton, harp, directed by Paula Downes. The Cadon Chorus of Cornwall gave two performances in December 2005. The Cantabrigians, directed by Paula Downes, performed the whole work in the Chapel of Christ's College, Cambridge, in December 2016 and December 2017, and have given performances of individual movements: Christmas 1924 in the Chapel of Selwyn College, Cambridge, as part of their Remembrance Day concert in November 2017, and 3 movements: The Virgin's Cradle Hymn, The Mother's Song and New Year Bells at "The Big Switch On" of the Christmas Lights in Cambridge Market Square (November 2017) and in the Chapel of the Grange Wellington Hotel, London, as part of the Brandenburg Choral Feastival of London (January 2018). The first USA performance was given in Boston Massachusetts by the Millennium Scholars, directed by Paula Downes, on 14th December 2005 at the Friends Meeting House, Cambridge, Massachusetts. The Mother's Song from the collection has been several times broadcast on Dutch Radio. In March 2013, a recording of the 8 Ballads for Christmas was made by Paula Downes (multitrack voices) with Rita Schindler (harp), produced by Matthew O'Malley, at Birmingham Conservatoire. In January 2016 Paula completed and launched on YouTube a series of animations and films to go with her recordings of each of the 8 Ballads. Watch the films by clicking the link above. Instrumental arrangements by Cynthia Downes of The Shepherd's Carol and The Holly Bough have been performed on several occasions by musicians from Hagley, Worcestershire. 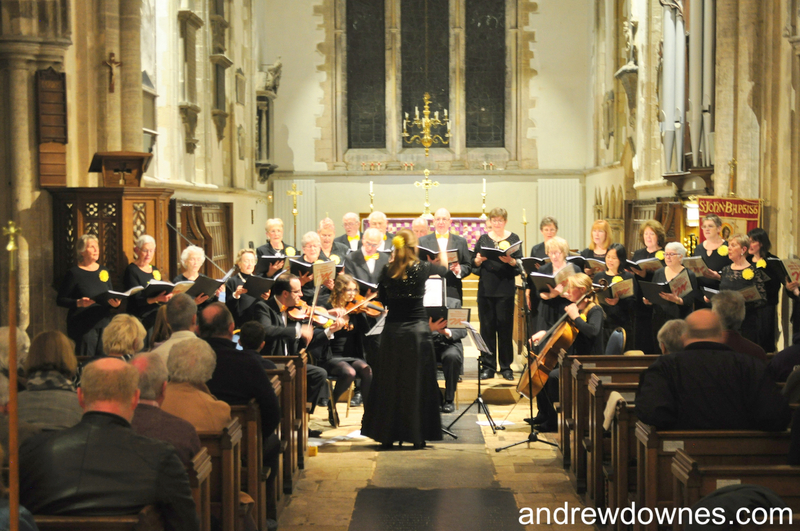 Arrangements of The Virgin's Cradle Hymn and The Mother's Song, by Cynthia Downes, were first performed by Paula Downes, soprano soloist, with Hagley Community Orchestra, in St Saviour's Church, Worcestershire in December 2015. The composer played (keyboard) in these performances, which were directed by Cynthia Downes. Also known as Holy Communion for Church Congregation with Organ accompaniment. Mass in English. Commissioned by Cottingham Parish Church, Bristol. Arrangement of 'O Come, O Come, Emmanuel' for SATB choir (also SSAB version), Organ and Brass Ensemble (2 trumpets, horn, 2 trombones, tuba). Commissioned by the Choir of Hereford Cathedral and first performed there on 15th December 1979 by the Hereford Choral Society, the Choristers of Hereford Cathedral, Robert Green (organ) and the Birmingham School of Music Brass Ensemble (director Frank Downes), conducted by Roy Massey. Included in the Birmingham Festival Choral Society's 'Towards the Millennium' concert series, for their concert on 4th April 1998, featuring music of the 1970s. In this performance the BFCS were accompanied by Gemini Brass and Carleton Etherington (organ) and conducted by Anthony Bradbury. In December 2018 it was performed at the Meridian Singers' Christmas Concert in St Mary's Church Bluntisham, Cambridgeshire with Hextura Brass, Olga Elbourn on the organ, conducted by Paula Downes. 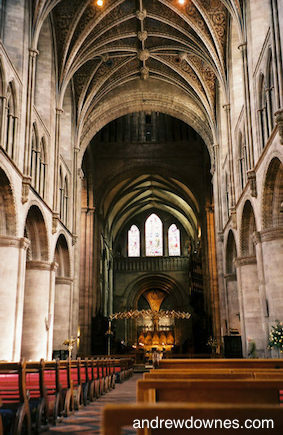 Commissioned by the Choir of Hereford Cathedral, director Roy Massey, and first performed there on 15th December 1979. Performed by the Clent Hills Singers, conducted by the composer, in St John's Church, Hagley, Worcestershire, in December 1989. Recorded by the Clent Hills Singers, conducted by the composer, for the cassette, "Christmas in the Forest" (© 1989 Forest Music). An instrumental performance of this work was given by Hagley Community Orchestra, directed by Cynthia Downes, in St Saviour's Church, Hagley, Worcestershire, in December 2017. An opera in 3 parts for baritone soloist, child soloists and choir, school orchestra, and piano (teacher's part). Libretto by Cynthia and Andrew Downes. Orchestra---------------------- recorders, flutes, oboes, clarinets, bassoons, horns, trumpets, trombones, strings, percussion. This children’s opera was commissioned by the Rugby Schools Music Association with funds made available by West Midlands Arts. The first performances were given in the Temple Speech Room, Rugby School, on 25th and 26th May 1982, by 300 children from 28 Middle Schools in the Rugby area and members of the Rugby Schools Orchestra, with Tom Cowhig as the baritone soloist and Mary Littlemore, piano. The performances were directed by Valerie Brodie and Gwen Proudlock and previewed on BBC Television. Subsequent performances by Schools in Hagley (Worcs) and Windsor High School, Halesowen. The choral parts are for children of Middle School age and the instrumental parts also for Middle School age, augmented by more experienced older players. The opera takes as its theme a freely adapted version of the ‘Cyclops' story from Homer’s Odyssey. The central character is Polyphemus, the Cyclops, who, in the original story, was described as an enormous monster with one eye in the middle of his forehead. In this version, however, he is made to be an ordinary, if tall, human being disfigured by some accident in his past. This slight alteration makes him, in the composer’s view, a more dramatically acceptable figure, whose very humanity deepens his tragic situation. PART 1 The crowds await the arrival of the Council of Elders, who are to decide the fate of the unsightly half blind figure of Polyphemus. The Islanders want to be rid of him. Polyphemus rejects the possibility of solitary banishment as being worse then death itself. The Elders suggest using Polyphemus as their protector and guardian of the island: “With his ugliness and strength he will repel any invaders.” The islanders like the idea, and proclaim him as their hero and champion. INTERLUDE I - the contented, protected islanders are unaware of Odysseus’ army sailing towards them. PART 2 Odysseus and his army land and make merry in Polyphemus' cave with his food and wine. 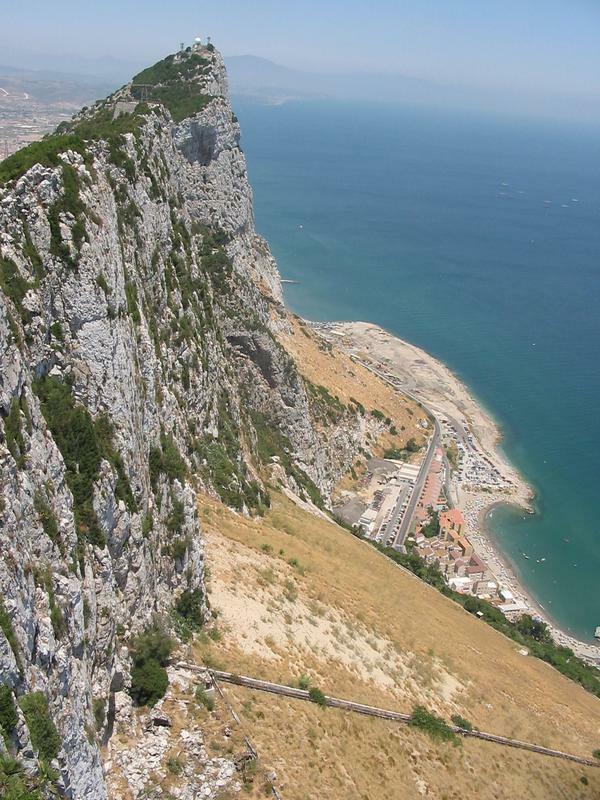 When Polyphemus discovers this, he rolls a vast rock across the cave entrance thus making them his prisoners. The cunning Odysseus gradually gets Polyphemus into a drunken stupor, and when asked his name, replies 'Nobody'. When Polyphemus is asleep - swiftly and viciously Odysseus and his men heat up a spear and put out his only eye. He is now blind, but the soldiers still cannot escape from the cave. The Elders, roused by Polyphemus' cries of agony, ask from a distance, if and by whom he has been hurt. He replies that 'Nobody' has put out his eye, and they go away, believing that if nobody has hurt him all must be well! Polyphemus is now totally abandoned, and sinks into despair. INTERLUDE II - throughout the night Polyphemus keeps watch over his prisoners. PART 3 As dawn breaks, the blind Polyphemus lets his flock of sheep out of an inner cave and moves the stone a little to allow the sheep out. Hiding amongst them go Odysseus and his men. Once outside, they taunt him and disappear to safety. Polyphemus now feels a total failure, but the Islanders reappear, relieved that the invaders have been repelled. 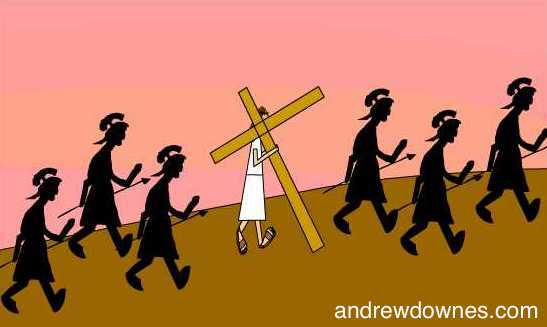 They welcome him, acknowledging his total sacrifice, and reassure him of their love and care. Cantata in 7 short movements for young voices (SATB) and school orchestra. 1. Fanfare: "Hail Thee, Festival Day!" 2. Carol: "Jesus was born in Bethlehem." 4. Office Hymn: "Ave, Maris Stella." Words from the 9th century Plainsong hymn. 5. 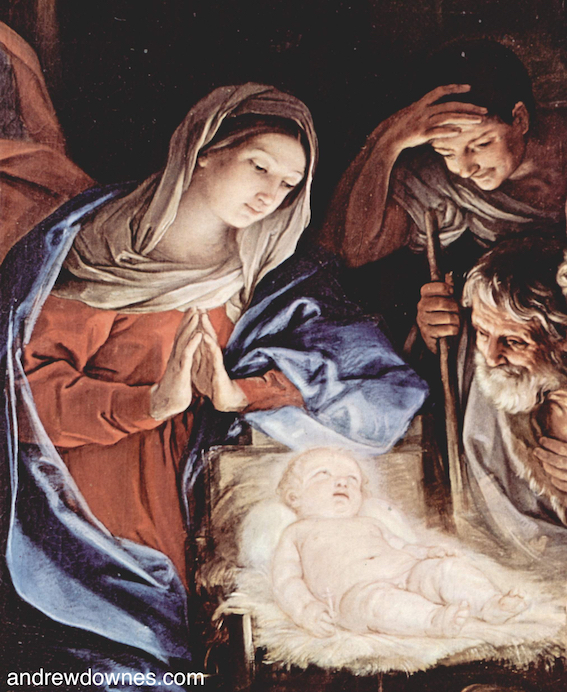 March: "Come, let us adore Him!" 6. Chorale: "Jesus Christ is born this night." 7. Finale: "Hail Thee, Festival Day!" First performed by The Chamber Choir, Girls' Choir and Chamber Orchestra of Thames Valley College, Twickenham, directed by Andrew Downes, on December 18th 1974. Instrumental arrrangements, by Cynthia Downes, of individual movements have been performed on numerous occasions by musicians in Worcestershire. Commissioned by Symphony Hall, Birmingham, for first performance on 13th October 2003 by 1200 children from Birmingham schools, with instrumentalists from the City of Birmingham Symphony Orchestra, conducted by Jeffrey Skidmore. Subsequent performers of the work include children from Lichfield schools, conducted by Jeffrey Skidmore, at the Lichfield Festival in July 2004; choristers and instrumentalists from South Hampstead High School for Girls (London), conducted by Paula Downes, in November 2003 (4 songs) and November 2004 (3 songs); and Birmingham schoolchildren with the Central England Ensemble, conducted by David Gaukroger, in Symphony Hall, Birmingham, in November 2004. The first USA performance was given by children in Cambridge, Massachusetts, directed by Paula Downes. 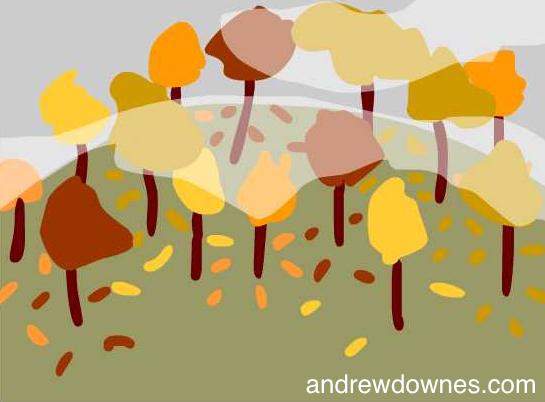 In June 2016, Paula Downes created six animations based on Songs of the Autumn. View videos here. She then went on to create lesson plans for primary school teachers based on these songs. 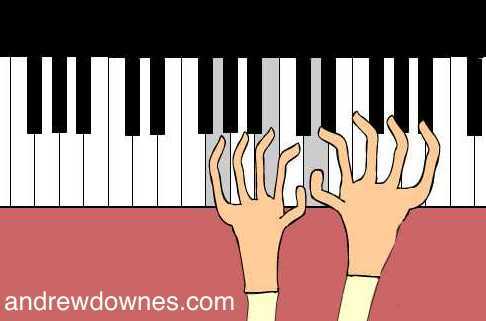 Instrumental arrangements, by Cynthia Downes, of the songs, have been performed on numerous occasions by instrumentalists in Worcestershire. Song no.4, The Cottager and her Infant, in its instrumental arrangement, was performed by the Hagley Community Orchestra, conducted by Cynthia Downes, at the Christening of the composer's grandson, Oscar Andrew Leonard Price, in St Saviour's Church, Hagley, on March 18th, 2007. A CD with synthesised sounds and vocal parts added by Paula Downes, soprano, is available for use by schools. To order the CD, visit Contact page. 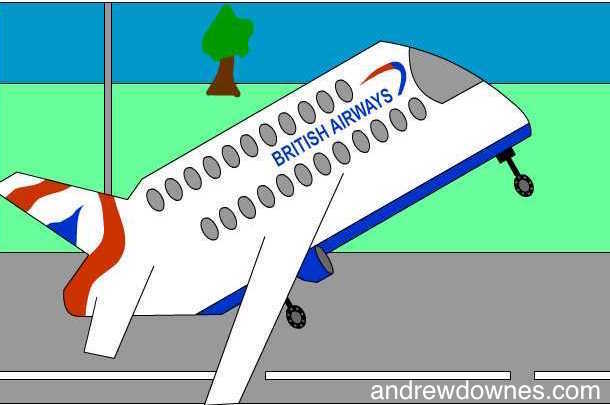 Celebrating British Airways in Europe. For young voices with Chamber Orchestra or CD. Poetry by schoolchildren coached by Julie Boden. 2 of the songs adapted for Climate Change animations by Paula Downes with messages from Dr Hugh Hunt of Cambridge University. Commissioned by Symphony Hall, Birmingham, with financial assistance from British Airways, for first performance on 3rd October 2005, by over a thousand children from Birmingham schools, with Central England Ensemble (Leader Anna Downes), conducted by the composer. Paula Downes directed subsequent performances of Songs 1,2 and 4 at Linnaen Community School, Cambridge, Massachusetts, USA, in April 2006, and at Haileybury College, Hertford Heath, UK, in March 2010. In May 2016, Paula Downes created six animations based on Songs of the Skies. View videos here. She then went on to create lesson plans for primary school teachers based on these songs. In 2018 she created adaptions of the first 2 of these songs and animations for Dr Hugh Hunt's campaign to warn people of global warming and advocate drastic reduction of travel by air and by car. View Climate Change videos here. A CD with synthesised sounds and vocal parts added by Paula Downes, soprano, available for use by schools. To order the CD, visit Contact page.